How to read the documentation of Perl using perldoc or in the browser. 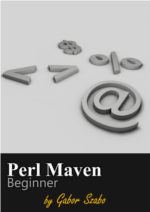 You can access the documentation of Perl via the perldoc.perl.org site, but today I prefer to read it on MetaCPAN. In order to make it easier to find various strange operators of Perl, you can search for them in the menu-bar of the Perl-Maven site.